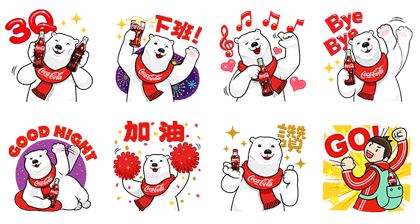 Coca-Cola Polar Bear stickers are back! Let the Polar Bear share his happy moments! Friend Coca-Cola’s official account to get them. 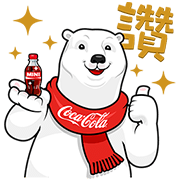 Copyright : 2014 Coca-Cola Taiwan Inc.